Happy holidays, LIVESTRONG readers! It's that time of the year again. Every holiday season, our team gets together to test out and model the latest and greatest gifts in the health and wellness sphere — so you don't have to. Have a friend or family member that seemingly lives at the gym? What about a particularly kitchen-savvy companion or a perpetually on-the-go mate? No matter your loved one's passion or aspiration, we've got you covered. A note: To make this guide possible, our team received samples for review. The final curation and all opinions regarding the items are our own. 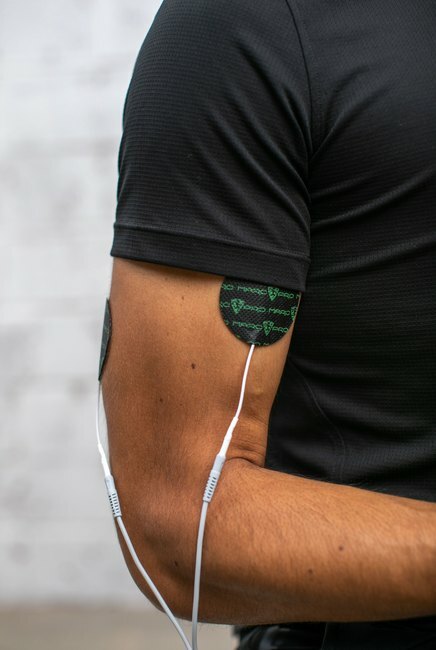 Whether they're gym novices or seasoned veterans, we've got your loved ones covered with the basics (beautiful, breathable gym attire) and the advanced (electronic muscle stimulation, anyone?). Here's what our team had to say about their gym favorites. Made from premium, durable fabric and featuring a breathable feel, the Ten Thousand Distance Shirt and Foundation Short are great presents for any sweat sesh-loving guy. The top is extremely lightweight and its polyester microfiber material glides over the body and can accommodate any sort of movement a heavy workout might bring about. "It doesn't stick to your skin or get caught and bunched up in places due to movement," software engineering senior manager Joe Ramos said. The shorts feature a board short drawcord and secure pocket, which allow for a secure and tight fit, not to mention, much-needed storage space. "These shorts are by far the best shorts I've worn for working out," Ramos said. 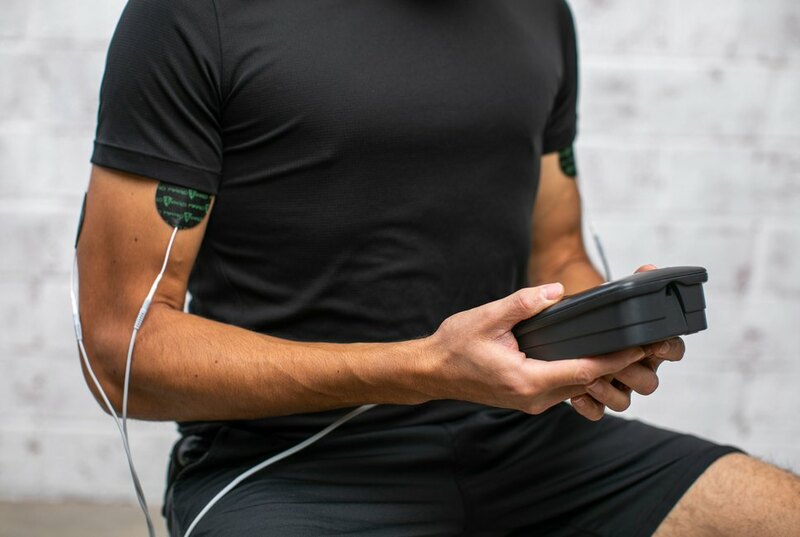 Take your workout-loving friend to the next level with the Marc Pro Plus — an electrical stimulation device that assists in rapid recovery and reduces pain. 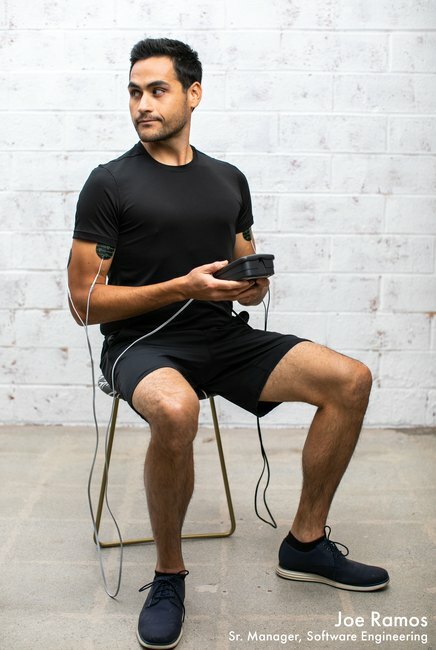 It works by applying electrodes over various muscle groups and adjusting the intensity. And, according to our software engineering senior manager Joe Ramos, the entire process feels like a massage. "I felt the recovery equivalent to two days' worth of rest," Ramos said. "I'd recommend wearing this while you catch up on some TV. Or self-reflecting while listening to some calm music with your eyes shut." 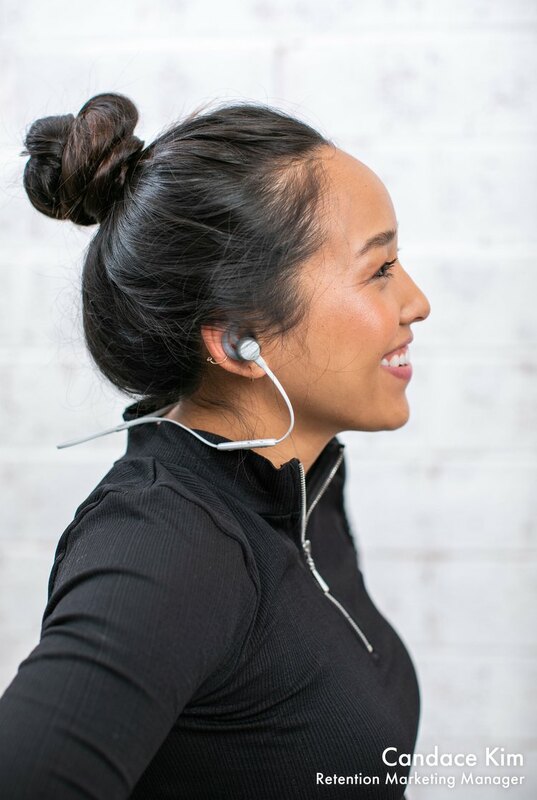 The Jaybird Tarah and X4 Wireless Sports Headphones are Bluetooth in-ear headphones designed for athletes and adventurers. The Tarah holds a charge of six hours and the X4 can hold up to an eight-hour charge, making both options perfect for a day of indoor (or outdoor) active adventures. 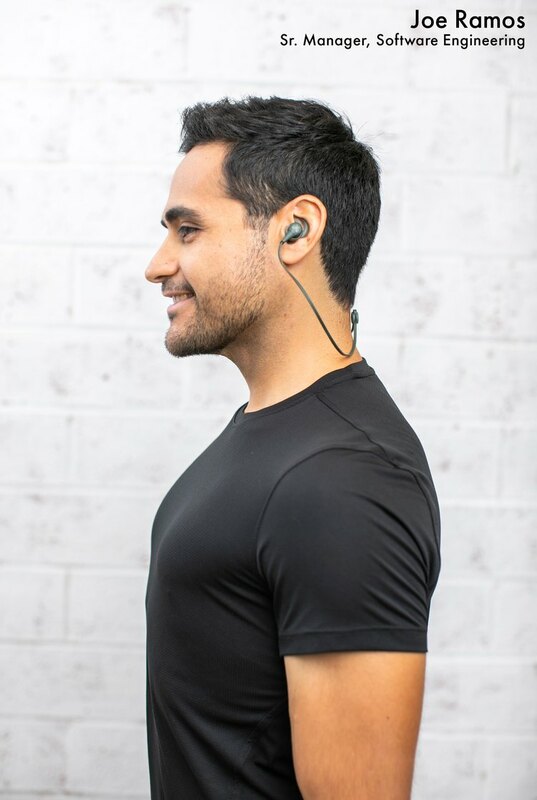 The earbuds are customizable, with multiple sizes available — and the Jaybird app walks users through the fitting process. "My favorite part of these headphones is their long battery life," says senior graphic designer Gracie Wilson. "I'm used to showing up to the gym only to find my headphones are dead after two days, but these last much longer." 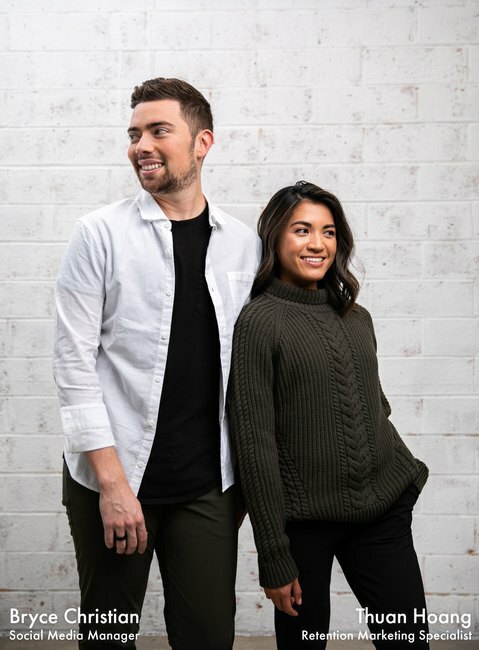 Senita Athletics is a small fitness clothing brand whose goal is to "provide durable, fashionable and functional products" while keeping the cost reasonable. 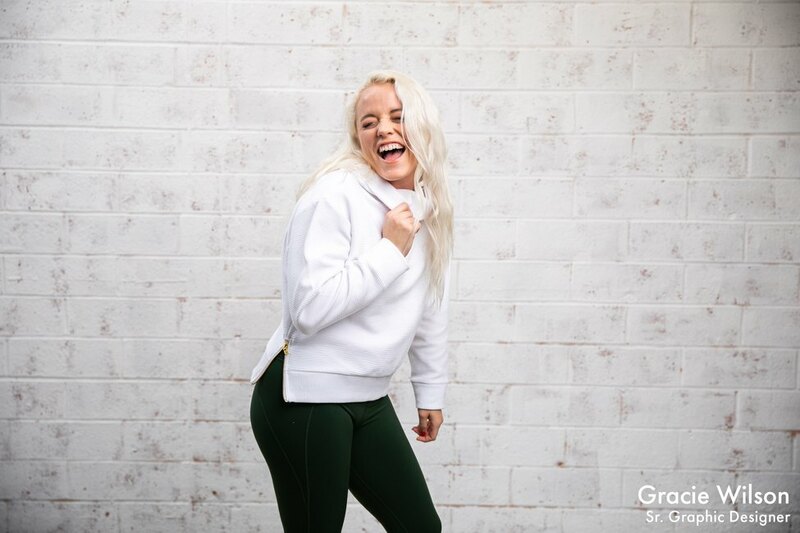 Senior graphic designer Gracie Wilson put their workout clothing through a hefty test, rocking this outfit to Spin, sprinting and weight-training classes. "The clothes are so comfortable, affordable and cute," she says. "The leggings are completely squat-proof, high enough for tummy control and have a convenient pocket for your phone." Wilson's favorite part of the outfit? The Sarah Sports Bra in Bahamas. "The cup inserts add extra support and the pattern is so unique," she says. Paired with the High Waisted Pants in Black and Bestie Zip Up Hoodie in Stripe, this outfit is full of personality. Planks are one of the most important core workouts you can include in your fitness routine. They're also, admittedly, just the worst. Does anyone out there actually enjoy planking? 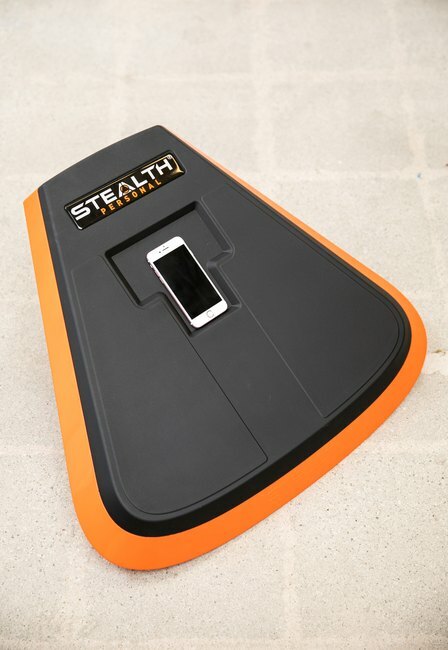 Well props to you if you do, but for your less enthusiastic planking friends, such as product designer Eli Sabah, there's the Stealth Fitness Core Trainer . 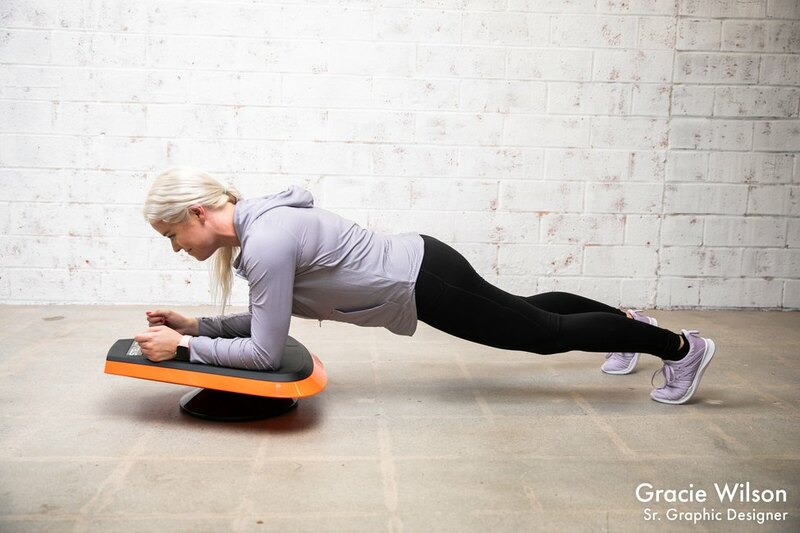 The board features a space where you can put your phone and "play" strength-training games while working out using the phone's accelerometer. "After using it for a week, I can honestly say it's one of the better ab workouts I've gotten," Sabah says. "The games aren't fancy, but it does take your mind off of how long you're planking and gives you a tangible score to beat." Fabletics gave the ordinary hoodie an upgrade with its Lotta Cocoon Hoodie. This hoodie features cozy jersey lining and a convenient kangaroo pocket for a cozy, comfortable fit. Its oversized design makes it perfect to style over the High-Waisted Solid Powerhold Legging (which also come with pockets). "These leggings are cute, comfortable, and most importantly, squat-friendly," says social media coordinator Deanna Vargas. "The pockets and cuff details make these a perfect addition to my 'lounge street style' wardrobe." Live in a less wintery climate? The Fabletics Cashel Cropped Swing Tank and High-Waisted Solid Spin Pant come together to create a sleek, fashionable look any gymgoer can get behind. "The material is super breathable and doesn't latch onto my skin. It's a joy to wear during cardio sessions," says content editor Ada Ciuca. We all know someone who can always be caught on their way to yoga class. 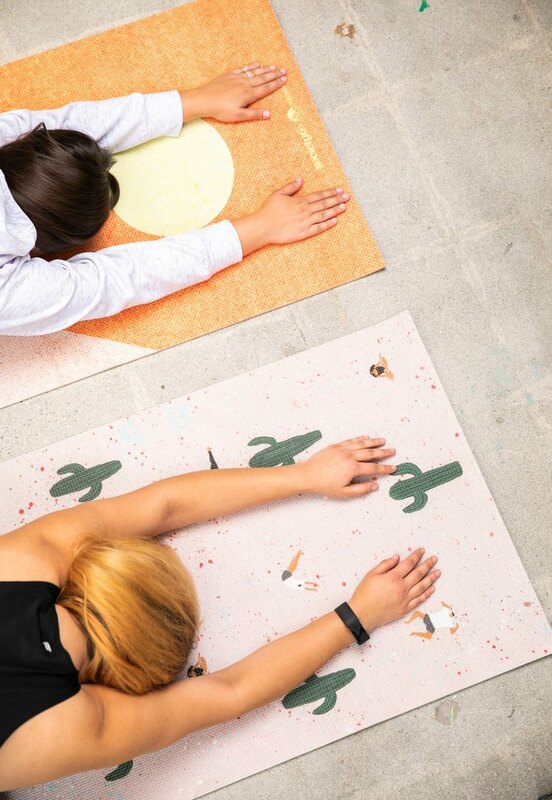 For the friend always working on his or her flexibility, what better gift is there than a beautifully decorated yoga mat? The Society6 Bikram Yoga Mat and Last Days of Summer Yoga Mat are a perfect addition to any yogi's arsenal. Free People's playful, bohemian vibe extends to an impressive activewear collection featuring clothes that not only look good, but also have cool, functional design. The Slay Top has subtle, intricate cutouts that add style and breathability to your workout. The Kyoto Leggings are super soft with deep hip pockets, making it easy to stash your phone when you're on the go. "Each piece is just a little bit unique," says editor Kim Conte. "As someone who lives in athleisure, it's pretty fun to be wearing something with unexpected details." Know a guy (or lady) that takes their strength training and recovery seriously? 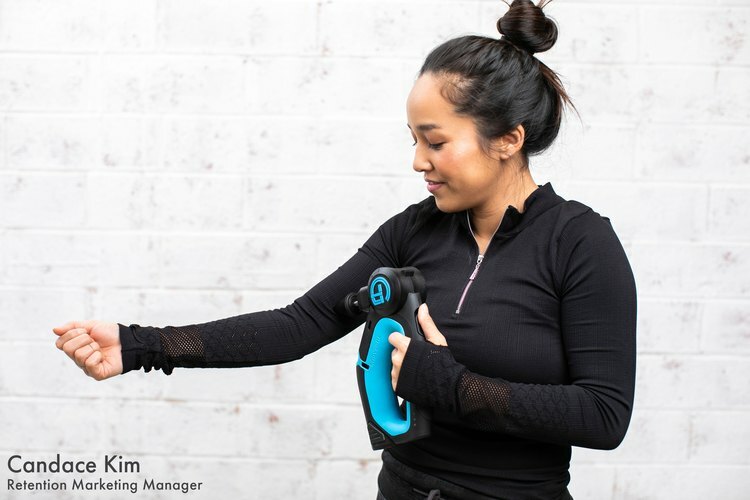 The TheraGun G2PRO Professional Massager is a great tool for preparing your muscles for an intense workout, or to be used as a post-workout massager. The device is adjustable, with four different placement angles and four different interchangeable tips that create a variety of massage effects on the muscles. While it can be a bit loud (definitely not to be used during quiet hours), the TheraGun is an ideal tool for athletes and gymgoers. 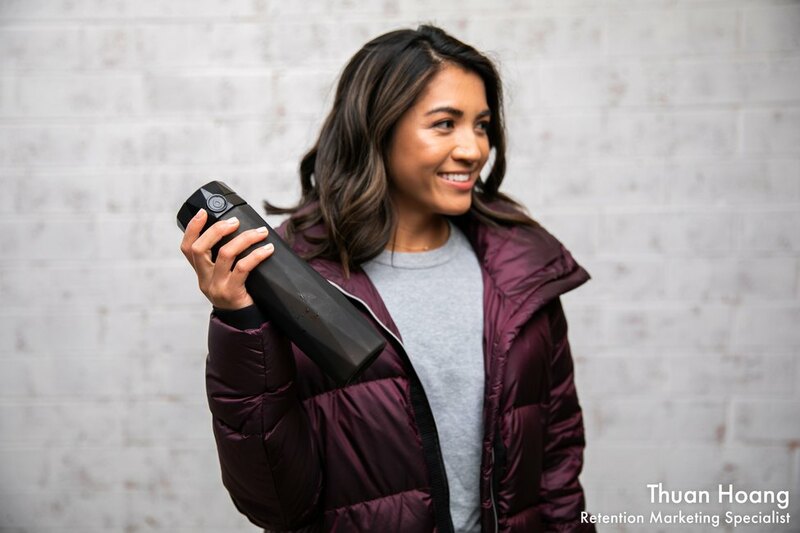 "My favorite time to use the TheraGun is after a tough leg day at the gym," says senior graphic designer Gracie Wilson. "It helps my muscles recover so that I'm not so sore the next day." For the friend with a sunny personality, a colorful matching set is the way to go. 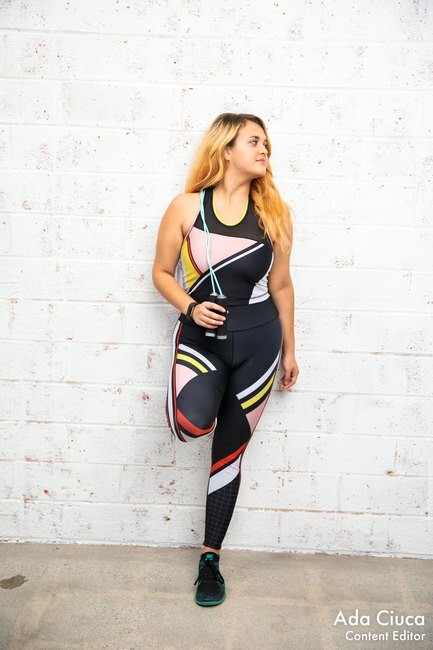 Founded by model Candice Huffine, Day/Won is an activewear brand that aims to empower through its inclusivity (tops run up to size 5X and bottoms go to 32W). Paired together, the Day/Won Color Block Performance Crop and Color Block Legging are a show-stopping (or rather, elliptical-stopping) look. "I've gotten so many compliments on this outfit," says content editor Ada Ciuca. "I've also been known to forget to bring a shirt post-gym — and rock this performance crop instead." Sometimes, less is more. For the simple friend or family member who can't constantly make the gym but enjoys getting in a quality workout, the Perfect Fitness Multi-Gym Pro makes for an ideal gift. It can be used as a pull-up or sit-up bar and can offer support during push-ups and dips, making your living room your fitness oyster. Give your loved ones the gift of mesh and sunshine with this Ban.do Work It Out Gym Bag. Not only is it a looker, but the mesh allows your workout gear to air out, kicking away any funny scents that normally latch onto them. It also comes with an adorable toiletries pouch! Few rituals can be more relaxing than creating your morning smoothie or cup of coffee, and what's greater than having the latest gadgets meant to make your morning routine significantly easier? If your friend is always in the kitchen, he or she will love the following items. You wake up (late), put on the kettle to make coffee, start getting dressed — and midway through putting on your pants, the kettle whistle blows, sending you sprinting to the kitchen like a madwoman to make it stop. Yeah, we're tired of that scenario too. 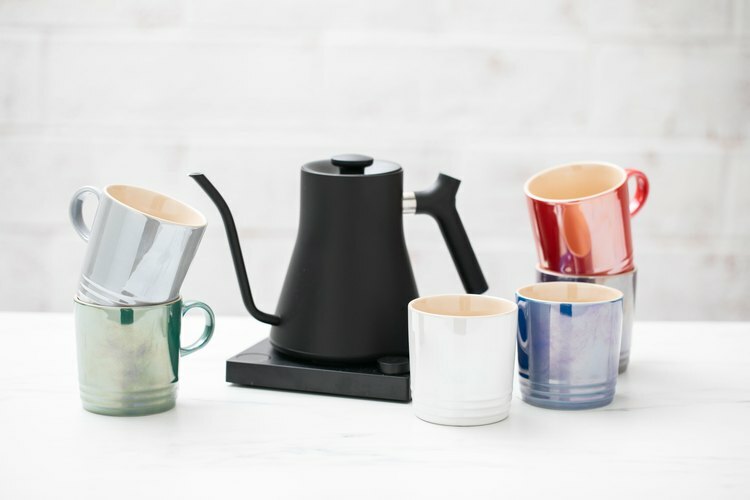 "That's exactly why I got my hands on a Fellow Stagg EKG Electric Pour-Over Kettle with variable temperature control," says food editor Erin Mosbaugh. The sleek, stainless-steel kettle features an LCD screen where you can set your desired water temperature manually, or you can operate it remotely via Bluetooth using Acaia's Brewbar Tablet App. And if you're busy and/or easily distracted, you can turn on the "hold" setting so that your water steadily maintains that temperature until its ready to use. The EKG Kettle's spout is designed for the optimal pour-over flow rate, and the ability to set an exact temperature means you'll never burn coffee grounds or delicate tea leaves again. 'Tis the season to rock a metallic palette, and Le Creuset's Metallics Mugs Set is the perfect way to take this festive craving to the kitchen. This set of mugs is a great gift for the family klutz, or anyone who isn't a fan of washing dishes. They are dishwasher-safe, and the dense stoneware material protects it from everything from scratches to cracking and rippling. "The highlight of my day is when I wake up and have my first cup of coffee," admits food editor Erin Mosbaugh. "That being said, I want the flavor of my coffee to be pretty damn close to perfect, which is why I have a Behmor Brazen Plus Coffee Maker." This next-level coffee maker allows you to program your brewing temperature depending on what beans you're brewing (because temperature affects flavor). There's also a presoak function as well as a gold-tone permanent filter included, so you don't need to use disposable paper filters. 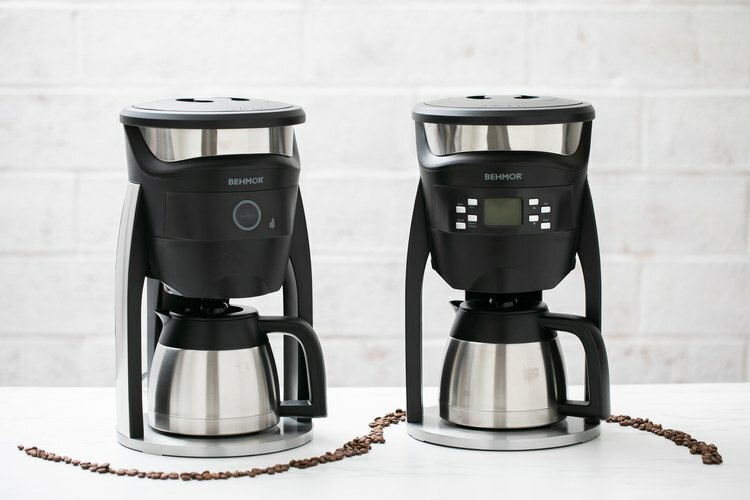 For the more tech-savvy, Behmor also offers the Connected Coffee Maker. 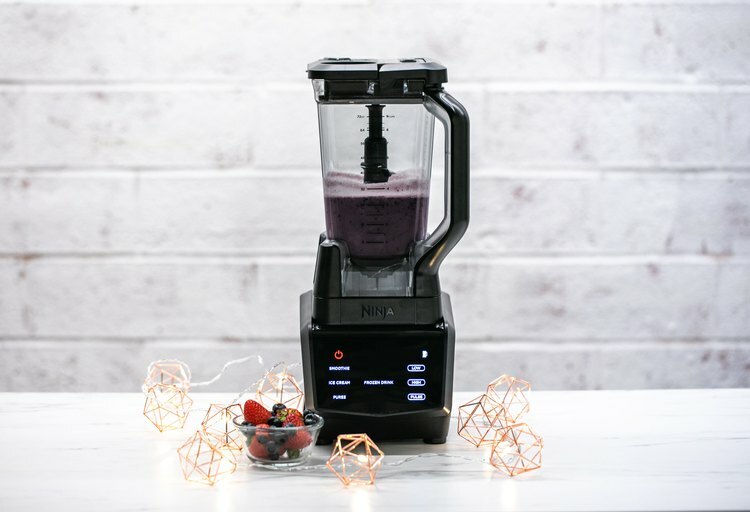 Ninja blenders have a reputation for being reliable and powerful — and the Ninja Smart Screen Blender Duo with FreshVac Technology is no different. The vacuum is simple to use and makes smoothies that are vibrantly colored and ultra-smooth with less separation. And the automated settings means you can make a perfect smoothie every time. 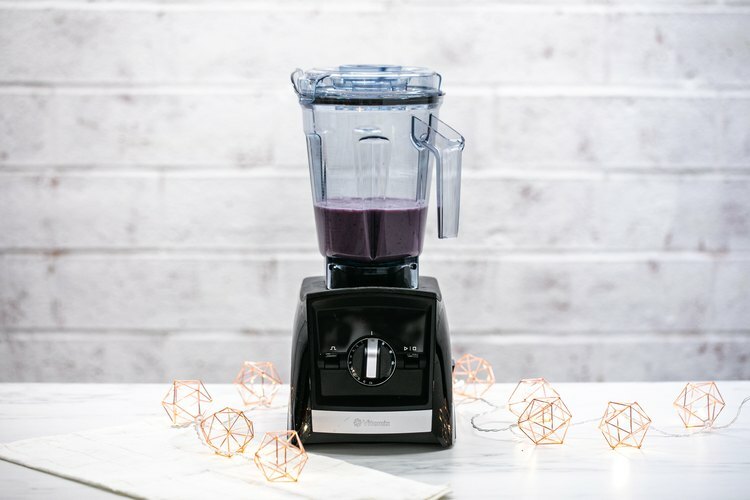 "I've been obsessed with my previous Ninja blenders, and this upgrade is well on its way to being yet another of my favorites," says editor Kim Conte. 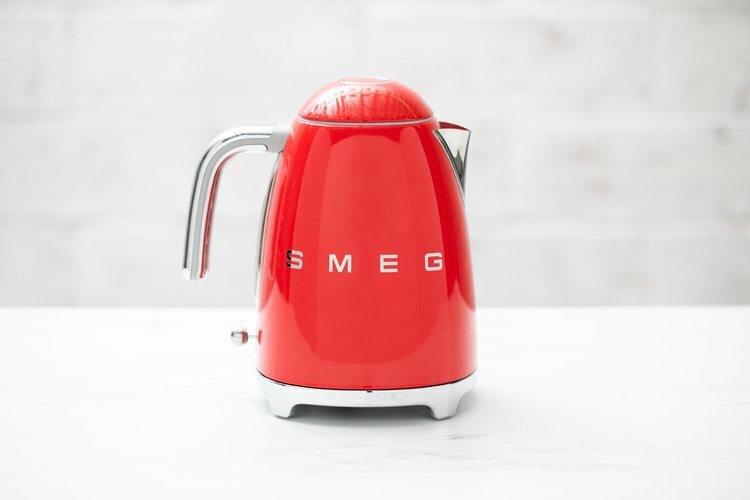 For anyone who is always in the kitchen or simply enjoys a cup of tea or coffee now and again, the SMEG Electric Kettle is the perfect gift. This chic kettle heats water up extremely quickly and is so quiet. "I love the retro look, and the color really makes my kitchen pop," retention marketing specialist Candy Wong says. While the kettle itself is pretty heavy even when empty, it's well worth it. 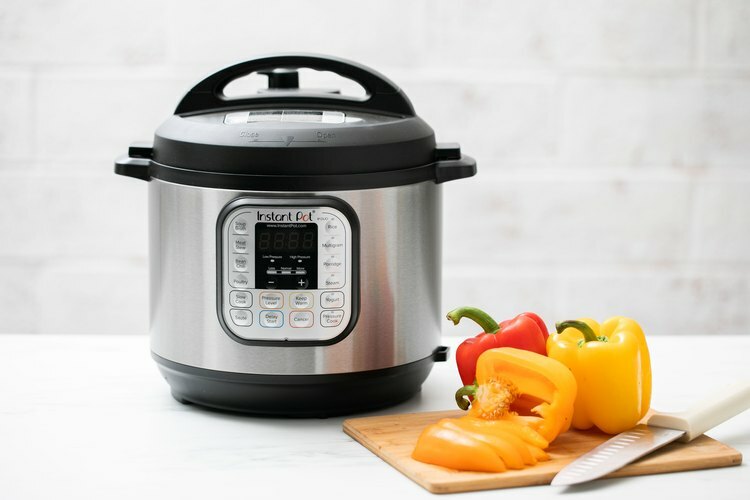 Whether the person you're shopping for is a seasoned home chef or a cooking novice, you can't go wrong with an Instant Pot. 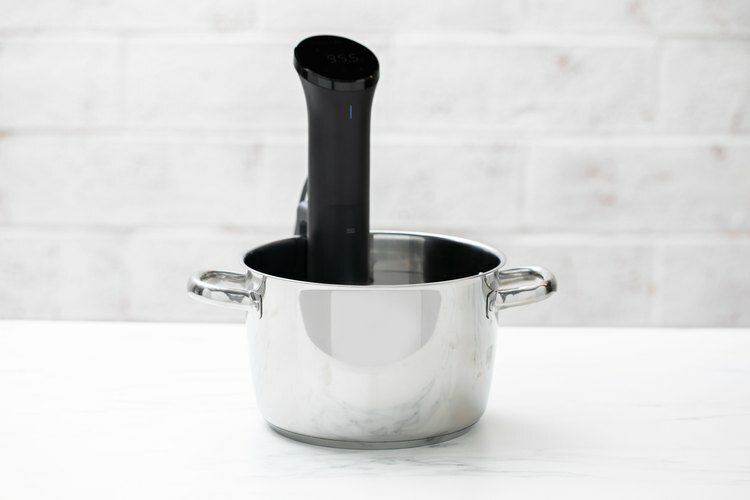 This one gadget replaces seven kitchen appliances: It has the ability to saute, steam, slow cook, pressure cook, warm food, cook rice and even make yogurt. However, what the Instant Pot is most famous for is how quickly it prepares food — baked potatoes take around 15 minutes. "The pressure cook setting is my absolute favorite," says marketing manager Candace Kim. "I'm normally a 'scrambled eggs for dinner' kind of person, especially after a day of work. But recently, I've been able to make a full-on dinner in about 30 minutes in the Instant Pot. I'm totally sold." "I started hearing the buzz about yummy recipes cooked with a 'sous vide' just a few months ago," says software developer Ferran Poveda. "And when a friend prepared the most delicious pork belly I've ever tasted with his sous vide, I knew I had to give it a try." Enter the Anova Culinary Sous Vide Precision Cooker. Your culinarily gifted friend will love this incredibly easy-to-operate and elegantly designed product. One of the smallest precision cookers available on the market, it can be seamlessly controlled via Bluetooth or directly via the device. "Honestly, it's made me feel confident and eager to invite people over for dinners and gatherings," Poveda says. "I use the Vitamix A2500 Ascent Series Blender to make healthy foods like smoothies, hummus and nourishing soups, and also treats like margaritas and milkshakes. No matter what I'm blending in my Vitamix, it comes out so incredibly smooth," says food editor Erin Mosbaugh. 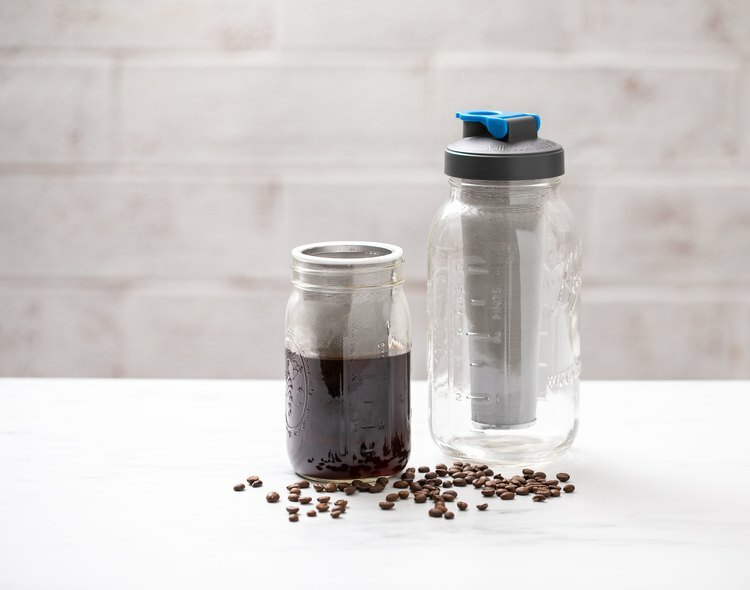 Give your cold brew-loving friends and family members the gift of creation with the County Line Kitchen Cold Brew Coffee Maker. It's an easy and effortless system for making large batches of smooth cold brew to last throughout the week. "I drink coffee religiously, which can become an expensive habit. This brewer saves me a lot of time and money, and it is really simple to use and clean," says retention marketing specialist Thuan Hoang. 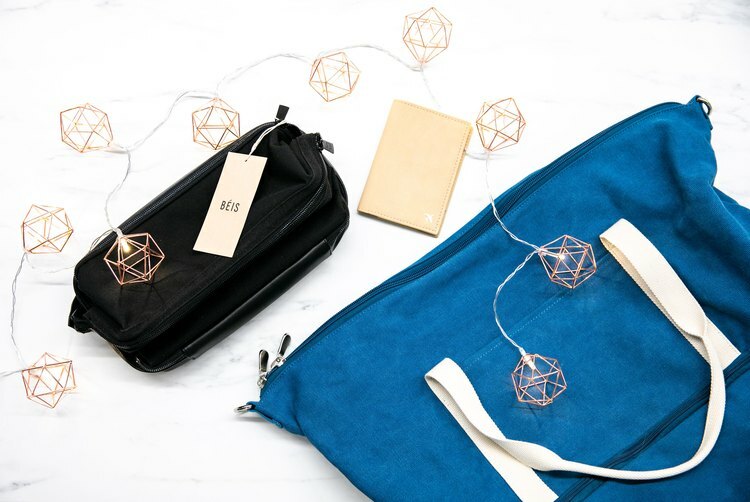 Support your jet-setting friends by gifting them with the best practical (and highly Instagrammable) items for their upcoming trips. From the perfect airport-to-gym outfit to gorgeous high-tech suitcases that are worth the hype, here are the best gifts for those always on the go. "I love everything about this outfit," retention marketing specialist Candy Wong says. "The Serene Sports Bra is a perfect fit, great for all workouts. I love the details on the back too." 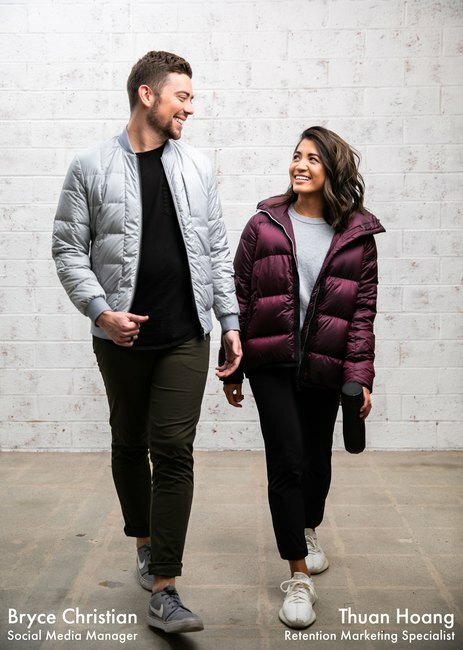 Paired with the Metric Core 7/8 Tight and the gorgeous Game Changer Quilted Bomber in dusty peach, this look easily goes from the airport to the gym to exploring new surroundings and everything in between. The Away Travel The Carry-On in Blush (or Aurora) is perfect for those who are forever on the go. "The hype surrounding Away and its products is definitely well-deserved," says retention marketing specialist Candy Wong. "This gorgeous suitcase has plenty of packing space, a TSA-approved lock and even a removable battery designed to charge your phone and other devices." Wong loves the different plug adapters that come with the suitcase, as well as its laundry bag. "Perfect to throw wet swimsuits in before heading to the airport," she says. 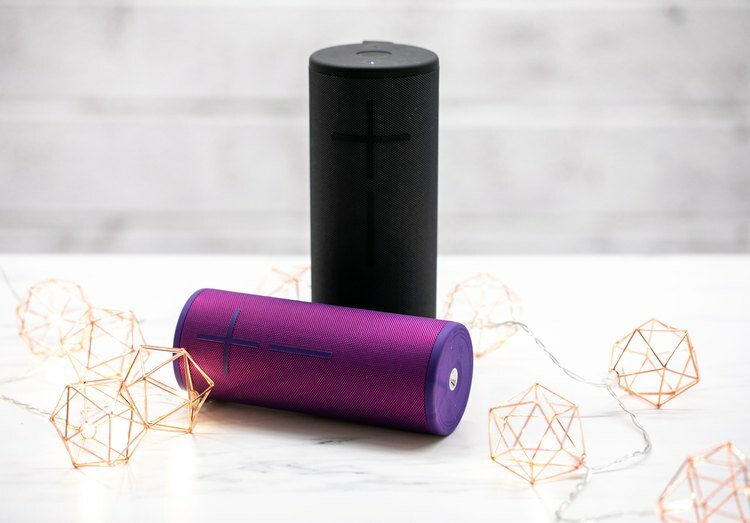 For the aspiring DJ friend, the Ultimate Ears Boom 3 and Megaboom 3 are the perfect gifts. 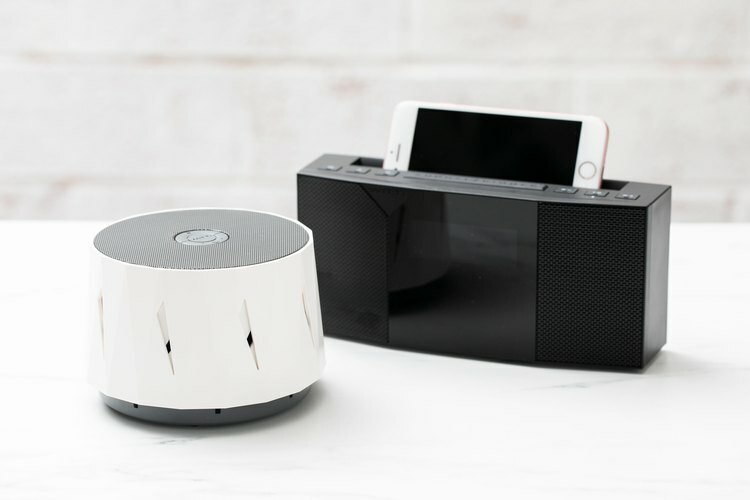 Whether you're headed to Vegas or a sunny Greek island, these waterproof portable speakers with crystal-clear sound are ready to follow. "These have been an absolute hit in my household," says content editor Ada Ciuca. "So far I've used them for parties, meditating before bed and even an outdoor picnic. They make everything from soothing meditation voices to the biggest party hits sound divine." Time to toss out those Ziploc bags holding your toiletries — Beis has you covered. The Travel Dopp Kit is the perfect upgrade for any traveler. It has water-resistant lining to prevent leaks, two compartments to keep things neat and wire frames to add structure. Pair this with the stylish Passport Holder to make your next trip chic and organized. "The Dopp Kit is spacious and fits everything without taking up too much space in my luggage," retention marketing specialist Thuan Hoang says. "It's extremely durable — sometimes too durable. I really have to put my back into it to get the zipper open," says Hoang. The Lo and Sons Catalina Deluxe Canvas Weekender is the perfect bag for a weekend getaway. The bag is very spacious and can fit a surprising amount of belongings. It's also lightweight and comes with a handy bottom pocket to put in any items you might want separated from your clothes. Senior graphic designer Gracie Wilson says, "I use this bag both as an airplane carry-on and a gym bag. I love the separate compartment for shoes so my clothes don't get dirty. All the pockets are perfect for headphones, a passport, phone charger and anything that can normally easily get lost in a bag." If you didn't take plenty of photos and videos during your trip, did it even happen? For the perpetually wanderlust-stricken friend, there's no better gift than the GoPro Hero7. 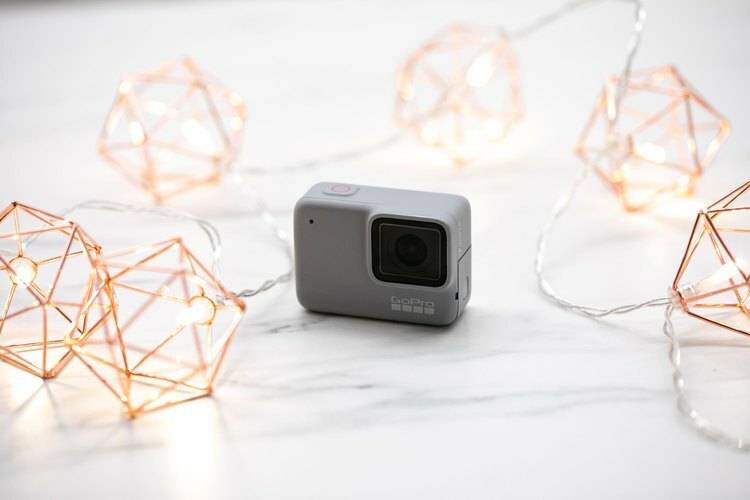 Available in black, silver and white (black being the most high-end and white being beginner-friendly), the newest GoPro shoots beautiful imagery, and comes with an option that isn't too hard on the wallet. It's hygge season, and nothing inspires more coziness than a black, white and grey palette. Here are six gift ideas for the uncomplicated friend who lives for neutrals and simple lines. 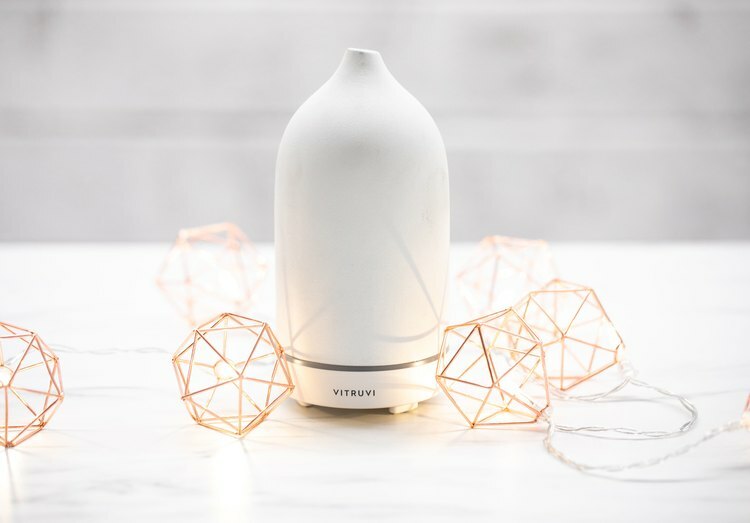 Essential oil diffusers are just about everywhere nowadays, but you'd be hard-pressed to find one as aesthetically pleasing as the Vitruvi Stone Diffuser . With a matte ceramic exterior, it looks more like an artful vase or piece of decor and is a great gift for anyone interested in natural health or wellness. 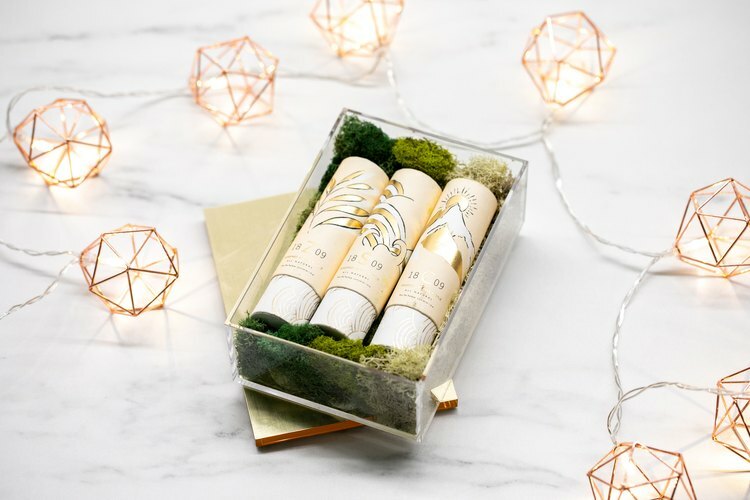 "It's fun to see how different oils work for different times of the day and to learn what works for you," says marketing manager Candace Kim. "The Vitruvi also emits this soft, glowy light, making the experience almost spa-like." "Where has the Ember Temperature Control Ceramic Mug been all my life?" says social media manager Bryce Christian. 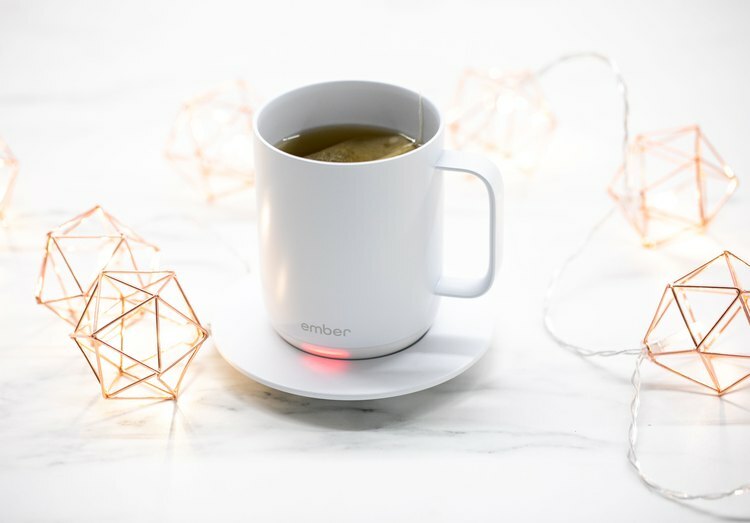 In a freezing office space, even the most scalding of drinks turns into an icicle in mere minutes, but the miracle piece of technology that is the Ember mug quickly fixes the situation. "The app has presets which memorizes your preferred temperature setting for any specific beverage. Usually, fancy gadgets stand out like a sore thumb, but the minimalistic design of these mugs make them a seamless addition to my apartment's decor," says Christian. Air quality is one of those things that should be on everyone's top priority list, but many times it slips through the cracks. 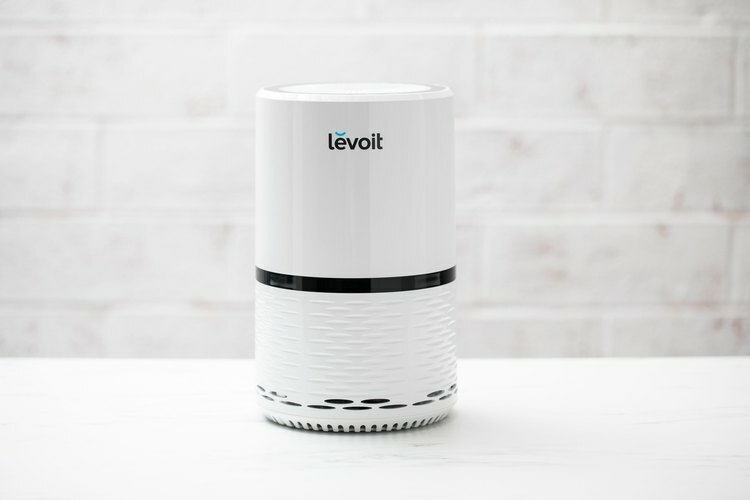 Enter the perfect gift: the Levoit Air Purifier. Its sleek design and three-speed system (the first one is very quiet), is sure to impress any minimalist friend. "It's one of those things that I appreciate receiving, but it would never occur to me to go out and get it for myself — making it perfect gifting material," says content editor Ada Ciuca. If your loved one's favorite activity is sleep, look no further than the WITTI DOZZI White Noise Machine and WITTI BEDDI 2 Intelligent Alarm Clock. Smoothly designed, both items are perfect for creating a cozy, sleep-inducing environment. "I love the intelligent alarm clock and its corresponding app," says content editor Ada Ciuca. "I set all my alarms before heading to bed, tuck my smartphone away in its charging nook and wake up to the sound of an old-school alarm, not having to reach for my phone in the morning. It's game-changing," she says. 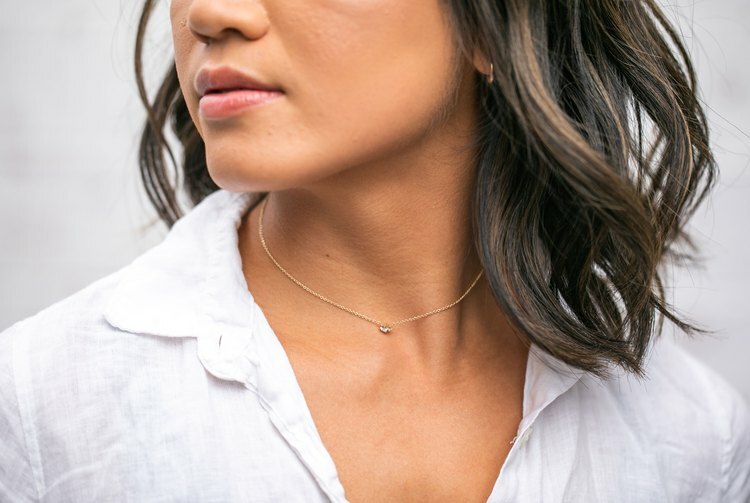 The Mejuri Hue Necklace elevates any outfit. While dainty, the two-stone setting makes a subtle, yet eye-catching statement. "I've received so many compliments on this necklace. I'm never taking it off. It adds just enough sparkle and completes any ensemble," retention marketing specialist Thuan Hoang says. You may not be able to gift your busy-bee loved one a vacation, but a comfy, commuter-friendly outfit or a life-changing planner are the next best things. 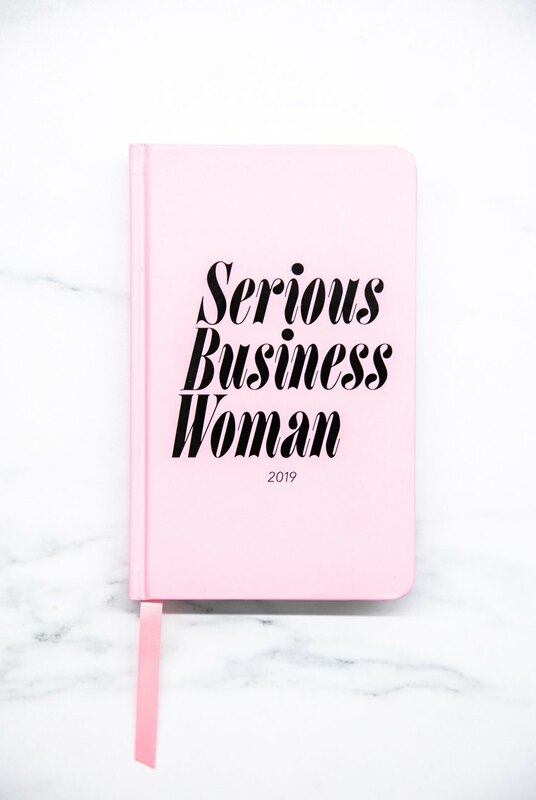 The Ban.do "Serious Business Woman" Classic Annual Planner is the perfect gift for the spunky and creative organizer. 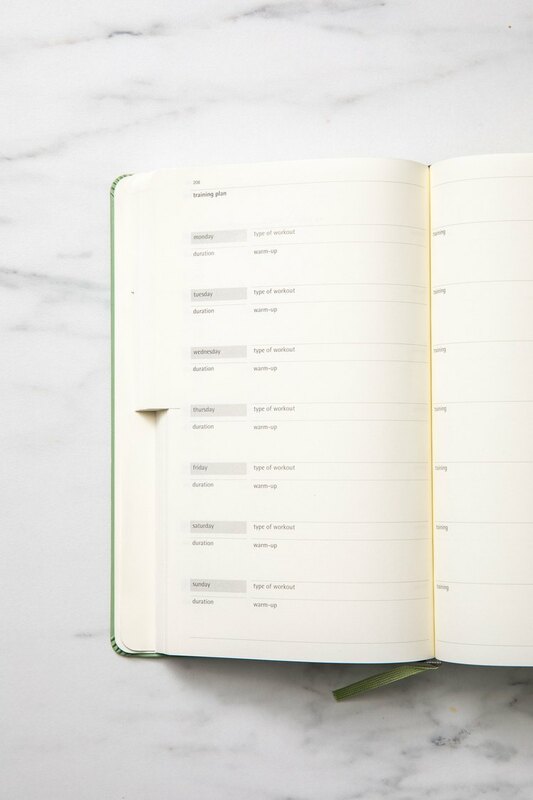 With ample room for each month for calendar entries and notes, you'll have no trouble keeping track of everything from work responsibilities to workout classes. Begin every month with designs by female artists and be inspired by daily to-dos, such as "try a new breakfast burrito" and "celebrate everything." "Every page of this planner is colorful and designed to make you feel good! I want to open it each day, not only to see what I have planned, but to read the motivational quotes and see what fun holiday is happening," says customer support specialist Kali Acerra. "How can I be stressed about back-to-back meetings, when it's also Dolly Parton's birthday?!" Mindfulness is our society's answer to an increasingly stimulating and stressful world — and no one can benefit more from its teachings than someone who is always working. 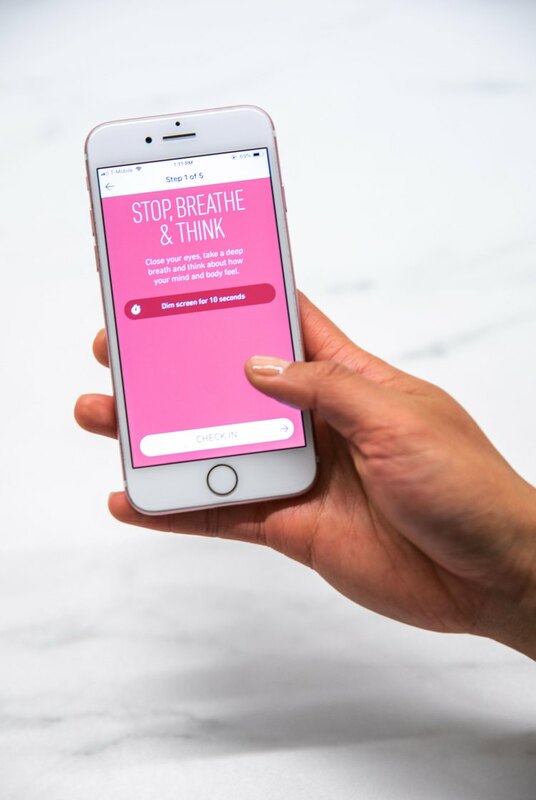 Stop, Breathe & Think Meditation App lets you find peace and create a mindful meditation practice no matter where you are — at home, at your office desk or on the subway. Looking for comfortable activewear that also happens to be fly as heck? Enter Varley, the London- and Los Angeles-based performance-first lifestyle brand. 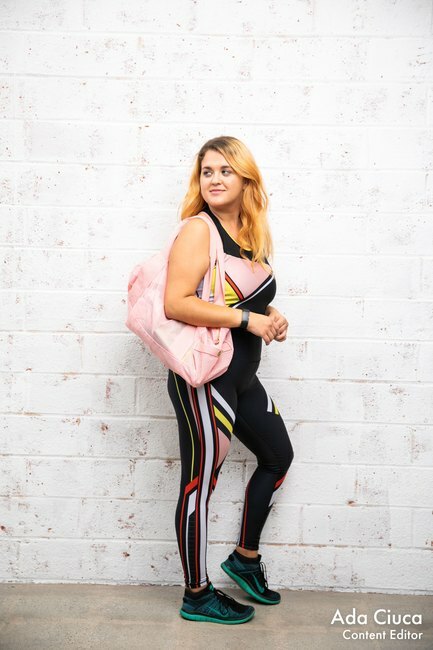 "I wear my Varley Ainsley Leggings and Russell Bra to yoga and boxing, but they're both so breathable and cute that I find myself wearing them out on the street and at work too," food editor Erin Mosbaugh said. 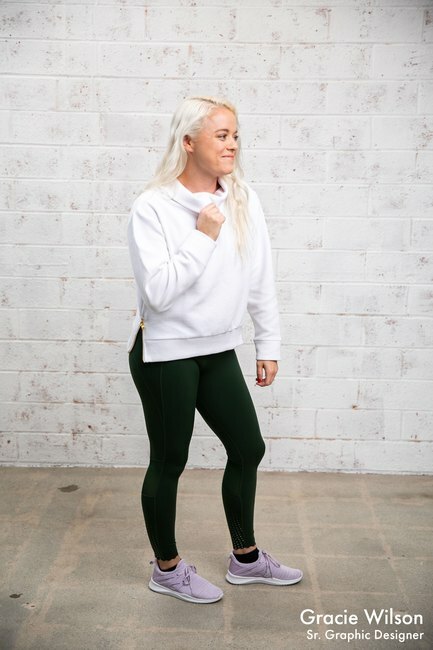 The leggings are designed to feel like a second skin, sculpting to your body while allowing freedom of movement, and the bra features comfortable padding for support and a mesh back that provides extra ventilation. "I'm also loving the super-sleek white Simon Sweat," adds Mosbaugh. "It's so soft, breathable and lightweight. Plus I appreciate that it's not 'dry clean only,' because — let's be real — who's got time for that?" It features gorgeous details like gold side zippers and and a back collar, which are just the kind of subtle accents that'll turn heads. A fitness and sleep tracker that's also discreet? This is what the Motiv Ring Fitness Tracker has to offer, and our social media manager couldn't be happier. "I don't like clunky things on my wrist," says Bryce Christian. "The Motiv is small, but provides all the critical stats that other trackers measure, like sleep patterns, heart rate and steps. It's a perfect match for me!" Gone are the days of stuffy work attire that leaves you unable to move. The friend that spends too much time at the office will be so happy to receive one of Lululemon's commuter looks this season. "It's been difficult to take the ABC Pants off since receiving them — they're just that comfortable," says social media manager Bryce Christian. The design and quality material allows them to be dressed up, and they have a slim silhouette and enough stretch, making them great for travel. Paired with the All Town Buttondown and the reversible About-Face Bomber, it's the perfect cozy fall commuter look. For the ladies, the On the Fly Pant paired with the Bring the Cozy Turtleneck and Cloudscape Jacket make for a stylish gift with ultimate lightweight comfort. "When the temperature in the office gets to subzero (which it does often), I reach for my Cloudscape Jacket," says retention marketing specialist Thuan Hoang. "It keeps me warm and cozy, but doesn't restrict my movement." Finish off the look by giving the gift of comfy underthings: Lululemon's Like Nothing Bra and Namastay Put Hipster also get our editorial seal of approval. The Hidrate Spark 2.0 Smart Water Bottle makes sure you remember to drink up and stay hydrated. It comes with an easy-to-use app and helpful reminders that keep you on track with water intake. "I really liked the finish of the bottle — it seems to be good quality," says product director Radu Bulai. "The only downside is the battery life." "I've had the Dagne Dover Dakota Backpack bookmarked on Instagram for ages," says content editor Ada Ciuca. "And now that it's finally in my possession, my life and commute are changed — so many compartments!" The backpack features premium neoprene material and performance air mesh, perfect to stick in any everyday necessities while still maintaining a high level of organization. It even has a detachable key leash. "Any commuter friend would be so thankful to receive this as a gift," Ciuca says. Self-care is more than just a hyped-up term — it's a lifestyle. Those friends that are already partaking in it will love this delicious gift selection. For those who are not, what better time than the holiday season to encourage someone to put themselves first? If you're a fan of DHC and other magical skin care products from Japan, then this is the brand you'll definitely want to try next. Adsorb Beauty products are rich and luxurious, using antibodies extracted from the yolk of ostrich eggs — don't worry, it's humane — which are anti-aging powerhouses. 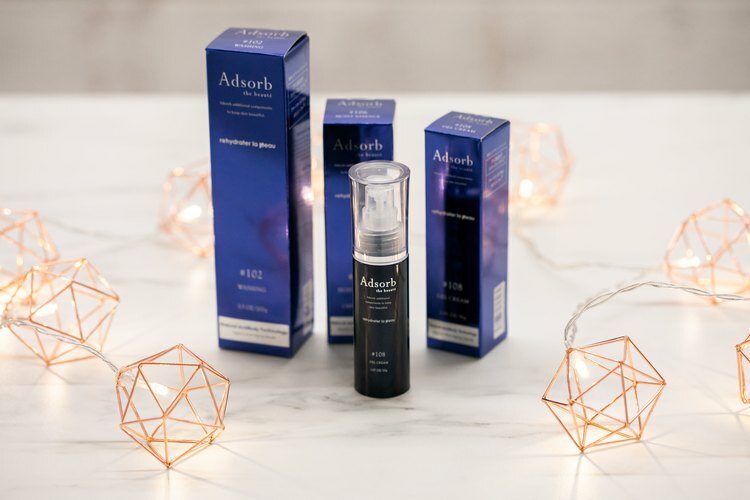 The Adsorb Beauty Three-Piece Set consists of a creamy cleanser, serum and gel moisturizer all formulated without parabens, fragrances and other unnecessary ingredients. "Ever since I moved to Southern California, my dry skin is out of control," says editor Kim Conte. "Adsorb's products are the only ones that make it feel hydrated and bright. I'm totally hooked." Looking to track sleep, activity and stress all in one? 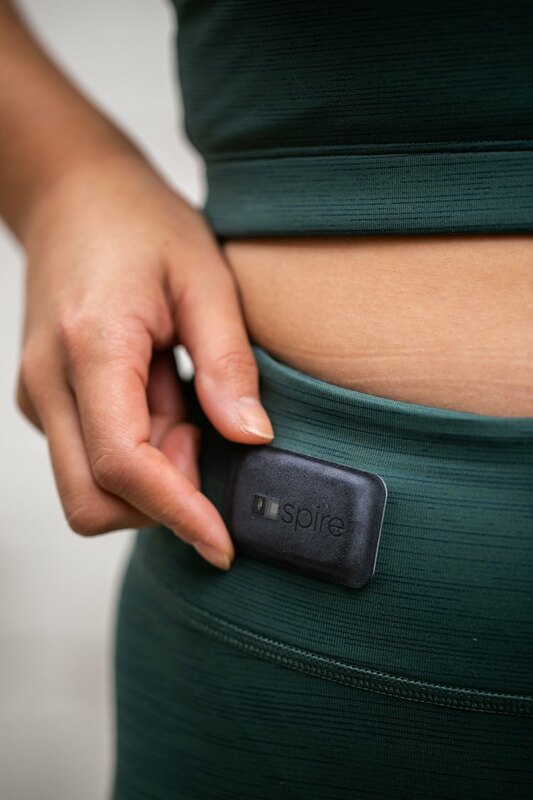 The Spire Health Tag is a perfect reminder for any friend that mental health and stress levels are an important part of one's life to keep track of. "The device is waterproof and tracks things like levels of calm, focus and tension," says content editor Ada Ciuca. "I've never before been able to do such a deep dive into my own state of mind." The meditation and mindfulness self-care landscape is so vast these days! From breathing exercises to calm anxiety to introspective journaling, there's a lot of ground to cover. For the most introspective, there's the DiveThru Meditation App. 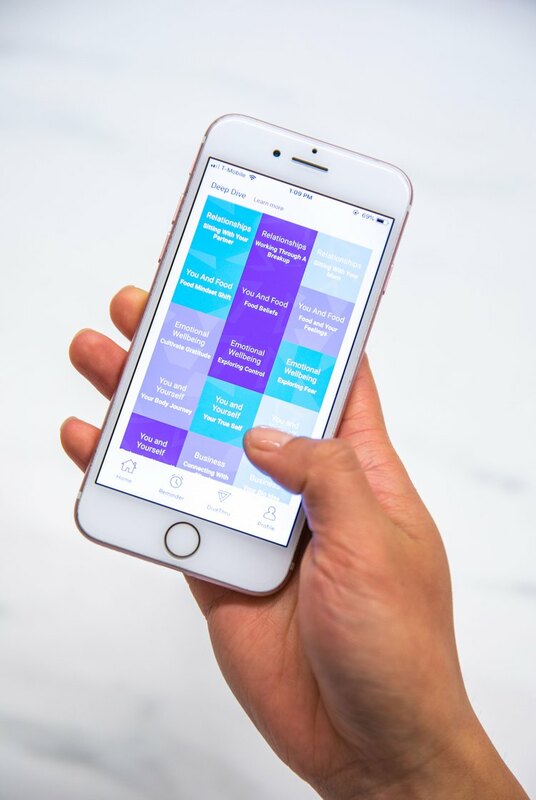 Created on the principle of self-introspection and journaling, the app features both a beginner's journey and deeper dives into such topics as self-love, breakups and relationships with relatives. "This app has really helped me tackle a few issues that I had been otherwise unsuccessful in getting through," says content editor Ada Ciuca. "I love being nudged to journal. It's very therapeutic!" The Outdoor Voices TechSweat 7/8 Flex Leggings and matching TechSweat Crop Top are the kind of workout clothes that look cool both in and out of the gym. Fitness junkies will appreciate the breathable, sweat-wicking fabric and features like a waistband pocket and adjustable drawstring, while those who prefer a meditation session and lounging around can appreciate the color options, design and fit. "The seams on these leggings are so well-placed, it looks like you just did 100 squats — even if you didn't," marketing manager Candace Kim says. "And I love the company's tagline, 'Doing Things.' It's a reminder that fitness isn't about who can run the fastest or furthest. It's about moving your body, doing what feels good and having fun." Trying to find the perfect gift for the yogis in your life? 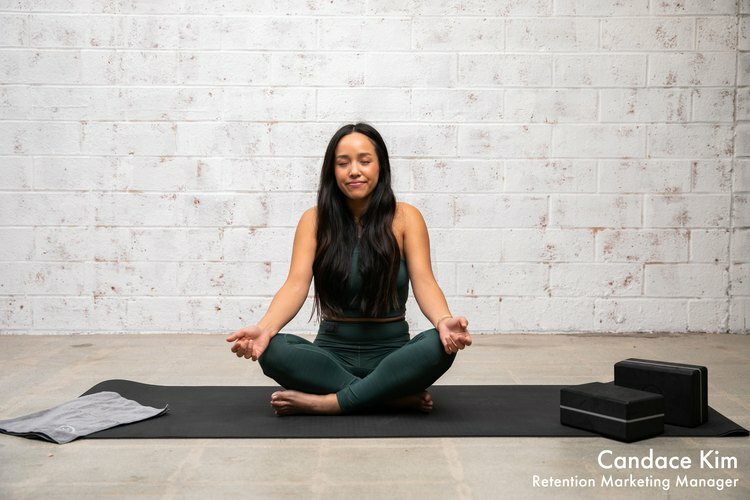 Whether they are just getting started or have already mastered Virabhadrasana I, II and III, this Levoit Premium Yoga Set Kit has everything they could possibly need: one yoga mat, two blocks, two microfiber towels, one stretch strap and one carry strap all in a thoughtfully designed carrying case. 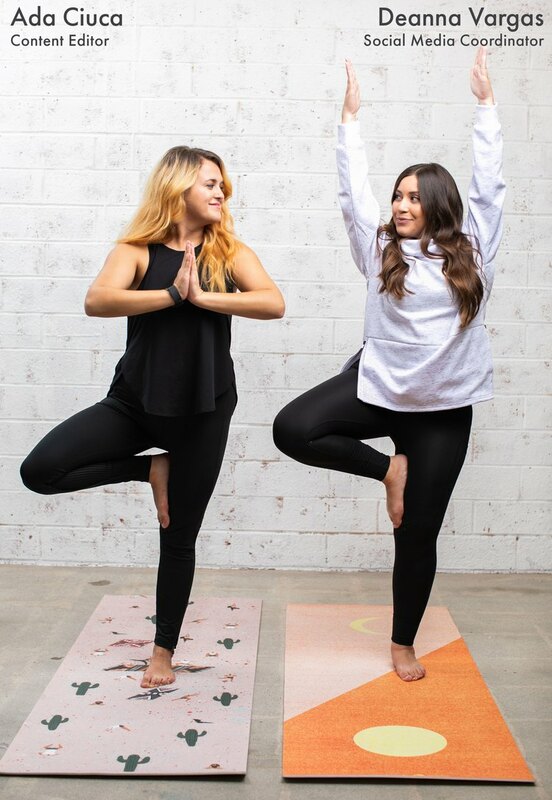 "I love that I now have all of the basics in one convenient spot," director of product operations and marketing (and yoga fanatic) Dena Karsenty says. "The microfiber mat towels really help keep me from sliding around on the mat, and the mat is so thick and comfortable I can glide from pose to pose easily." 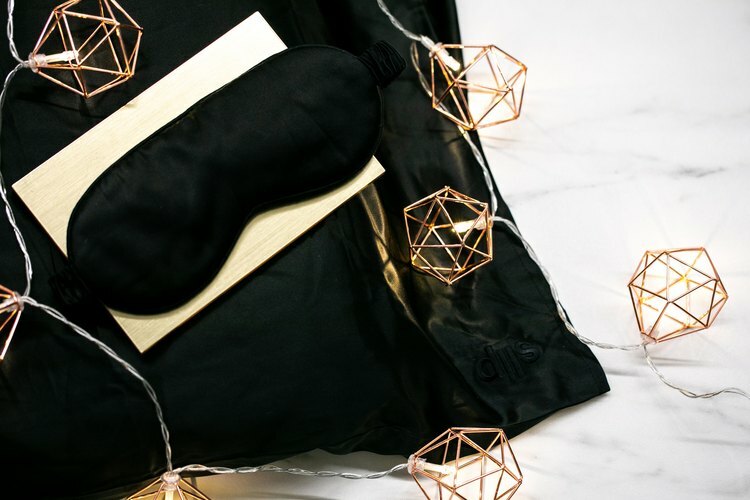 For anyone who loves sleep, the Slip Silk Pillowcase and Sleep Mask make for amazing gifts. At $50, the mask is fabricated from 100 percent pure silk and is the softest, cushiest thing you'll ever put on your face. In addition to being comfortable, the mask blocks out light completely, helping the wearer sleep soundly and uninterrupted. "The first night I wore this mask, I slept 11 straight hours," says marketing manager Candace Kim. The pillowcase is made from high-grade silk that reduces friction on the hair and skin, resulting in smoother hair and less frizz. "Sleeping on this pillowcase really does make my hair less frizzy and more manageable in the mornings," Kim says. "The silk is also super soft and stays cool all night long, so my days of turning to the 'cool side' of the pillow are over." It's rare that an all-natural fragrance is affordably priced and actually smells good, but Free People 1809 Collection Zen Fragrance's Surf Fragrance checks both boxes. Cruelty-free, vegan and free from synthetic ingredients and harsh chemicals, this scent is fresh and clean with notes of vanilla, jasmine and citrus. "If it was possible for a fragrance to smell laid back and relaxed, this would be it," says editor Kim Conte. "I like that it's long-lasting, which isn't typical of many all-natural scents that I've tried." Other scents in the collection include Camp (earthy and exotic) and Zen (woodsy with patchouli notes). 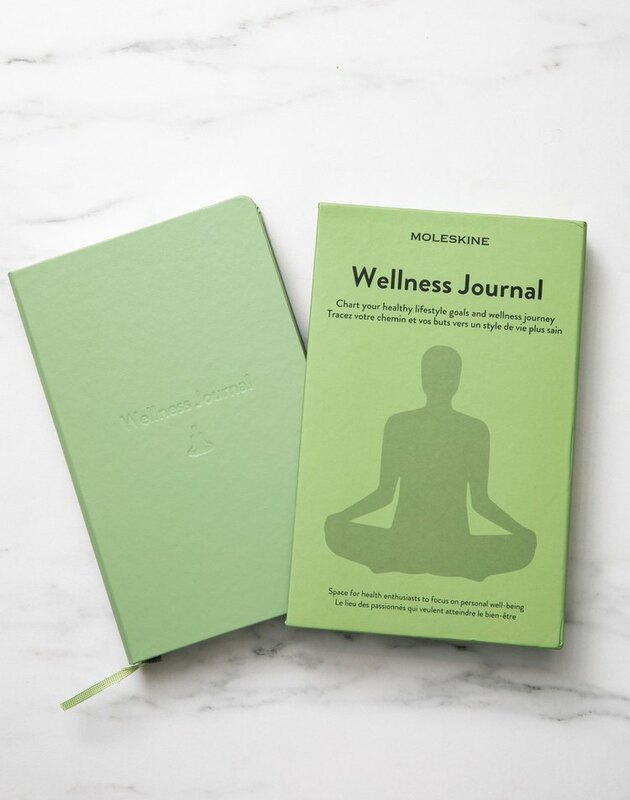 For the friend who vowed to make self-care a part of everyday life, the Moleskine Passion & Wellness Journal makes for an ideal gift. Featuring everything from nutrition and exercise tips to areas for expanding on personal goals, fitness, diet and health care, this journal takes an all-encompassing approach to the practice of self-care. Are your friends slouching in front of the computer all day? You could either shame them or buy them the Upright Go Posture Trainer and Corrector. 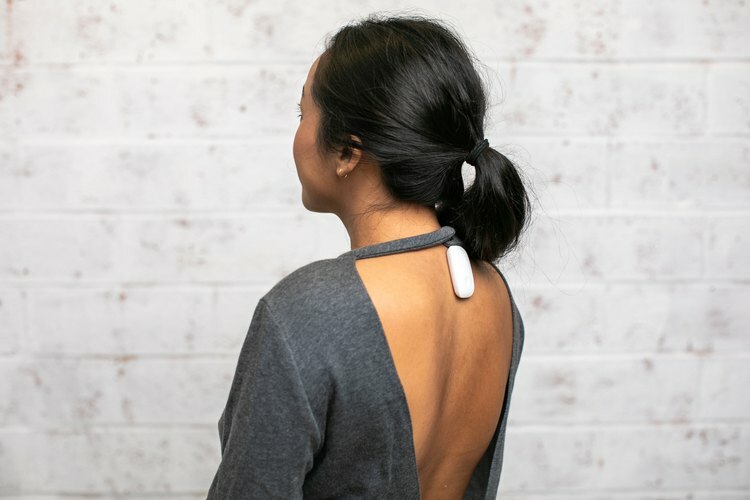 This tiny gadget sticks to your back and trains you to keep a better posture. 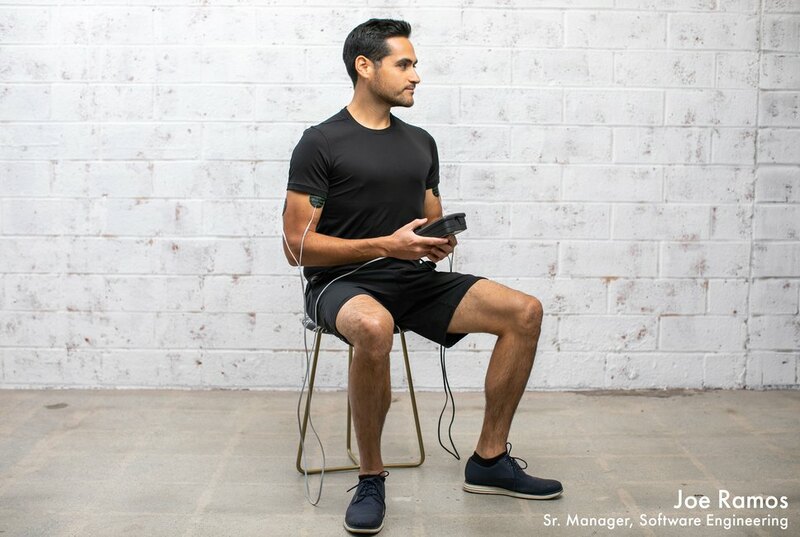 "It is incredible how straightforward and effective this device can be if you want to improve your posture," software developer Ferran Poveda says. The device vibrates to remind you to readjust if slouching or it can simply track what you're currently doing — no judgement involved. You can squeeze up to 10 hours from its battery. "It can feel that you are one step closer to being a futuristic cyborg — for their magnificent fitness and posture, of course," Poveda says. 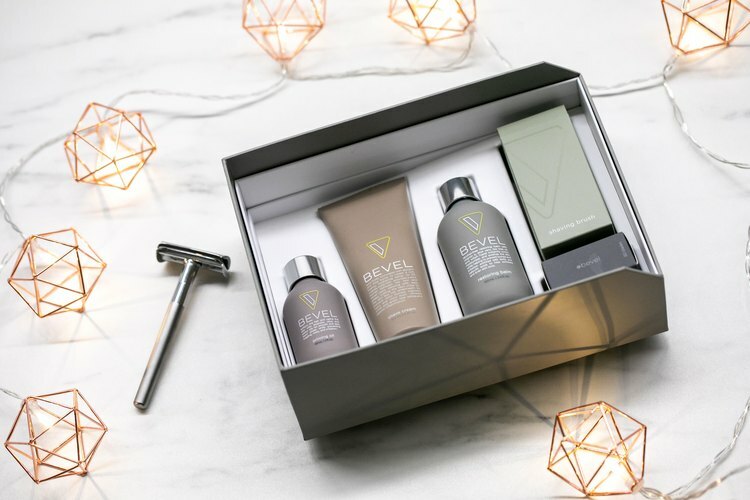 If you know someone who is looking to take their self-care ritual to a whole new level, the Bevel Shaving Kit might be the perfect gift for them. The 90-day starter kit includes everything one needs to nourish their skin before and after every shave, and its sleek and gorgeous packaging makes it suitable for giving as a gift. Social media coordinator Deanna Vargas says, "It's so easy to use, and if it means not suffering from razor bumps and finally achieving a closer, skin-level shave, I'm ready to replace my multi-blade razors with the Bevel safety razor." Got all your big ticket items and needing to fill up some stockings? Look no further than these suggestions. The LIVESTRONG team wishes you a happy, healthy and strong holiday season. Which gift is your favorite? Will you be purchasing any of our suggestions for your loved ones? We'd love to know what you would like to see more of in the future, so please keep in touch. Ada Ciuca is a writer and content editor at LIVESTRONG covering body image, sexual health and lifestyle topics. You're probably saying her name wrong. Catch her on Instagram and Twitter @adachooka, and see more of her work at adaciuca.com.